Among the clubs on campus, there is one that requires some dancing feet. Stout Swing Club is a free organization that is open to students, faculty and community members. They focus primarily on teaching swing dancing, but they aren’t limited to that. Swing Club also brings in guest instructors to teach other kinds of dances. “Mike and Kelsey are two of our regular instructors from Eau Claire that we bring in. They teach anything from Ballroom dances like Waltz, Tango and Foxtrot, to Latin dances like Salsa or Meringue. We also bring in Terry from Twin Cities Swing to teach aerials toward the end of the year, as well as Lindy Hop,” said Kailey Blatz, vice president of Swing Club. Students who don’t have any experience with swing dancing, or any dancing can rest assured. Swing Club does not require members to have any knowledge of dancing. Experienced members will help new members learn starting at whatever level they may be. Members can choose to bring a partner or to come alone. 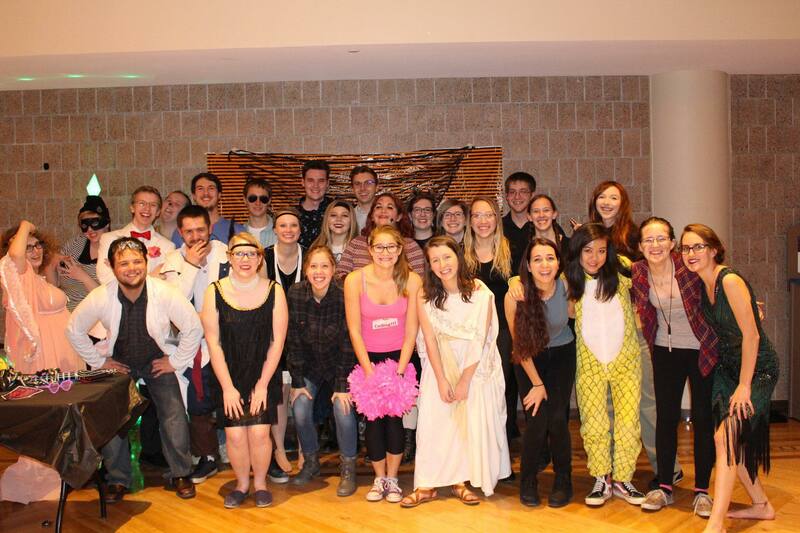 “Our goal is giving our members a variety of experiences with different kinds of dances, as well as a chance to meet other people interested in partner dances,” said Blatz. Since Swing Club is open to the public, regular community members join for weekly meetings and bigger events such as their Valentine’s Dance and the end of the year dance. This year, the org is going to be trying something new. They are going to be participating in the Dunn County Historical Society’s 2nd Annual Snow Ball. “This is our first time participating in this event, so we’re not entirely sure what to expect, but we’re super excited to be involved with it. 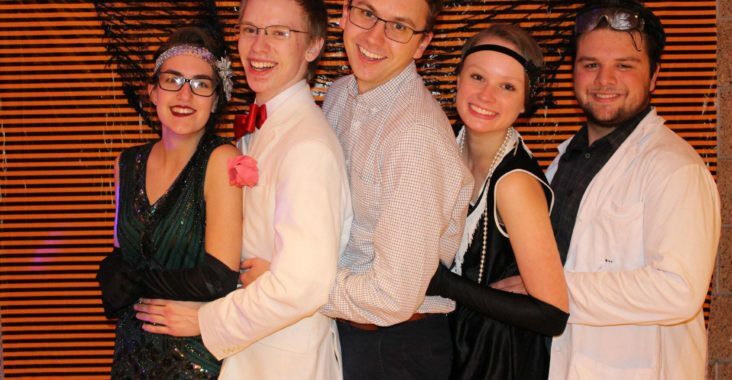 We’re planning to give short instruction sessions before the dance and during the band break; and we’re looking forward to getting more involved with the community and sharing some of our swing moves!” said Blatz. Swing Club also has workshops where they bring in guest instructors to work on specific kinds of dances, such as Ballroom Dances or Latin Dances. “Overall, we are a club that is all about having fun and meeting people. We use dance as a medium to meet new people and learn cool new skills! All of our events are free, and we always welcome anyone, no matter how much or little experience they have or how often they are able to come,” said Blatz. Swing Club meets every Wednesday in the Great Hall. Each meeting the instructors teach three or four new moves and throughout the year they go through more advanced moves with the help of experienced members.